The fifteenth day of this list of my favorite things of 2017 and today I'm going to talk about the two shows that finally had me subscribing to Hulu. For some reason up until this year, nothing that 'you could only get on Hulu' tempted me enough to fork over for their subscription. That changed this year. First up we have their adaptation of Margaret Atwood's classic dystopian story, The Handmaid's Tale. This version is excellent, brilliantly cast, and played with a certain sense of brooding evil that perfectly fits the tone and subject matter. It is also superbly shot. The cinematography, the muted colors, and the performances come together to create a haunting and suitably disturbing sense of horror. That the story is suddenly all too relevant again, in that it's a dystopian future that you could imagine happening again if certain things went a certain way. It is seemingly now more of a cautionary tale than ever, even if you hope society is ultimately better than that. It's excellent television and great storytelling. On a much lighter note we have the currently running adaptation of one of my favorite comic books of all time. The original run of The Runaways penned by Brian K Vaughan back in 2003 was interesting, progressive, and a risk for Marvel. The premise is simple enough. A group of teenagers find out their parents are part of a secret cult of would be super criminals, and decide to take matters into their own hands. Turns out they have some super powers of their own, but honestly the super hero elements were never what made the original great. It was the characters and their relationships that hooked you. So when Hulu announced they were going to adapt it for streaming I worried in the way you always worry when your favorite stories from books, comics, or games, get handed off to a studio for a TV show or movie. Any worry was misplaced. The diverse cast are perfect, and the long form format has allowed for just as much character development (if not more, in the case of the parental characters). So far (the first season hasn't completed yet) they appear to be managing to stay true to the spirit of the original story. It's not just the presence of James Masters that brings up memories of Buffy in this one. It shares much of the same DNA. 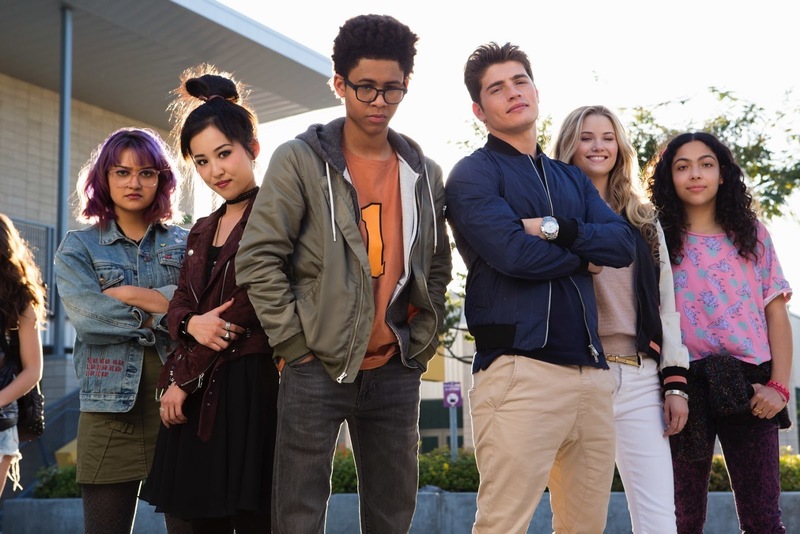 It treats its teen characters as real characters. It never feels condescending, and it manages to capture the essential elements of a coming of age tale, without being patronizing. Hopefully they finish out the season just as strongly, but so far I'm very happy with this adaptation.